Our day was absolutely prefect! [Saz's Catering Lake Country] did an amazing job making sure our off-season wedding was just right. The venue has been beautifully remodeled and [the] staff made sure everything was just right for our day. The communication prior to the event was just right and the day went very smoothly, as planned and on-time! The food was fantastic!!! From the appetizers, main course (filet/pecan crusted chicken) and they topped it off with late night snacks (pork sliders) that had our guests raving! The bar was properly stocked and the bartenders were great! The Saz's Catering team and Western Lakes contributed in making our special day SUPER special and they have created raving fans!!! I cannot thank you enough and I highly recommend this caterer and venue!!! We had or wedding on 4/1/17 and everything was fantastic! Our guests really enjoyed all the food and the space was perfect. We had a gorgeous day so we could enjoy the balcony.  [Saz's Catering Lake Country] answered every question I had. I would definitely recommend this reception site! My husband and I cannot thank the both of you and your staff enough! You made planning the wedding, setup and the day of as smooth as possible. It is crazy to think of the amount of work you both took on to make that day the day of our dreams. All of our wedding guests loved the ceremony site and reception area as well as the food! Thank you for all of your cooperation and accommodation! You both went above and beyond work that should be done by a venue, but without you, we would have been way more stressed and worried about the little items! Thank you! Hope the rest of your weddings go smoothly this summer. I know anyone having a wedding at your location will be extremely pleased with their services. Wow! The folks at Western Lakes and Saz's Catering were AWESOME! Planning was a breeze, food was amazing, and the venue and grounds beautiful!!! It was perfect for our large event. Received some discounts and perks for hosting our wedding on a Friday. WORTH IT!!! I could not have asked for more from Chris and the entire staff. Anything we needed was provided promptly and with good humor. The food was exceptional, as were the servers and bartenders. Everyone there made the reception worry-free and seamless. We highly recommend Western Lakes. Western Lakes is catered by Saz's, so the food was AMAZING and the portions were HUGE!! All of our guests had positive things to say about the food, especially that they were so full! Chris was so helpful and accommodating. Sara, also with Saz's, was so helpful, setting up the hall for us just the way we wanted. She was very calm and very good at listening, especially when you are stressed and only have a few minutes to tell her how to make everything perfect before you get pulled in another direction. Both Sara and Chris made our special day perfect and we are forever thankful! For a one stop shop wedding, Western Lakes was perfect! Chris and his staff went above and beyond to make our day seamless. We had an outdoor wedding, but had the options to do it indoors, in a tent, on the fairway, or gazebo and could decide day of. Being a late October wedding, they even served coffee and hot cocoa to our guests. The food was amazing and we're still having people rave about it! I cannot thank Chris enough for helping us with everything. His professionalism and guidance was comforting and much appreciated. We wouldn't have changed a thing! Chris at Western Lakes was amazing to work with in planning our wedding. He was very responsive to all of the calls and emails and numerous meetings from the "perfectionist" nervous bride. The staff was friendly and very professional. They set the room up perfectly with little direction the day of. We were able to have our ceremony outdoors on the golf course free of charge. That was a nice perk! The food was outstanding with very generous portion sizes. I would highly recommend this venue to others.